Here are some of the "Boys". A couple are gamers and one or two are waiting for transplants. Hope you enjoy! Sorry if the pics are too big! This is the best I can do. Thanks. 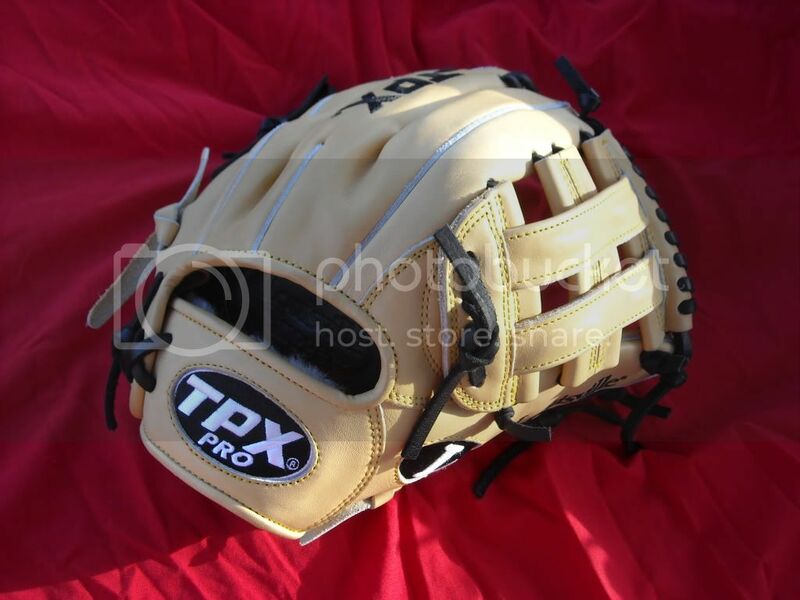 **Here are some pics of the blonde TPX PRO 11.75". I've had a few questions about it. This is one of my all time favorites. Might not be anything special but I LOVE IT !! Last edited by reddog34 on Wed Mar 23, 2011 3:49 pm, edited 1 time in total. Is the blonde Louisville as single post or H Web? WOW!! 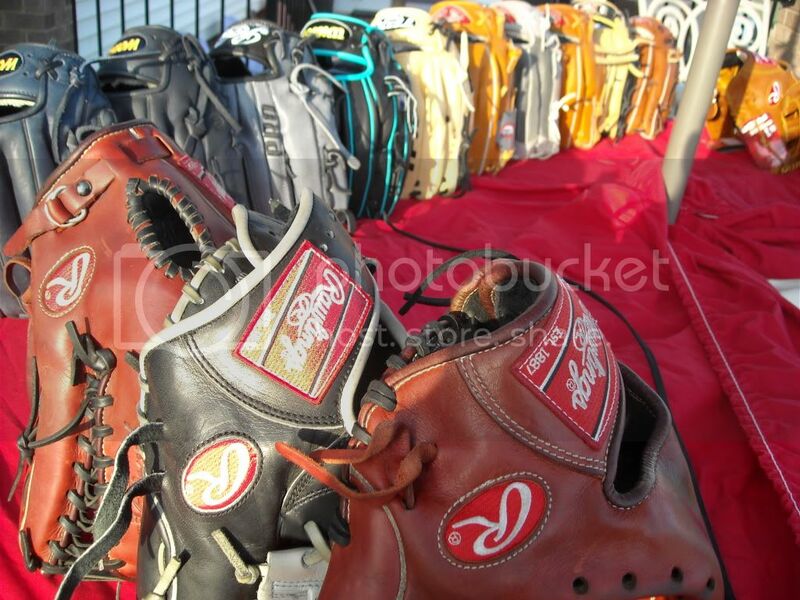 great looking collection of gloves. 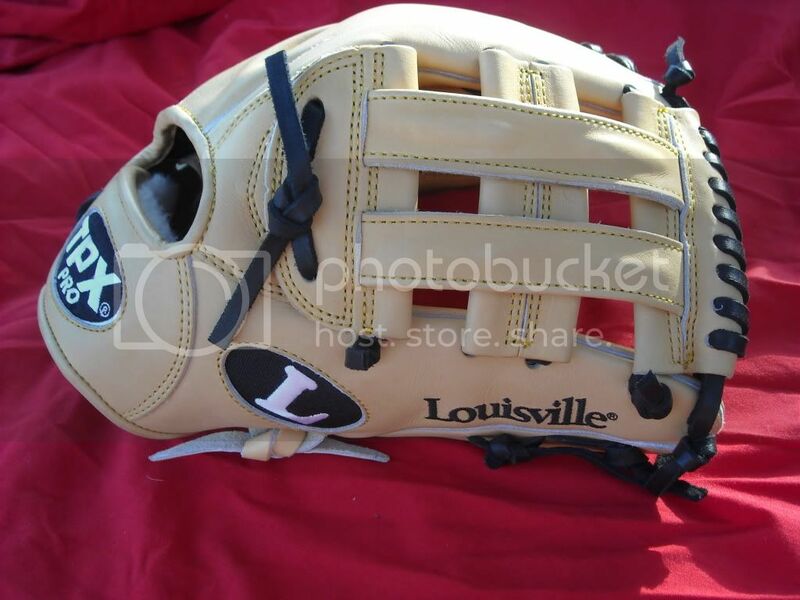 I really like the tan Louisville flare with the basket web, actually though I like everone of them. The blonde Louisville is an H-WEB. I fell in love with the blonde louisville. Then I saw it was 11 3/4 which is just a bit too big. Really great collection. Do you use any of them or are they all for the kid? I use the Silver Slugger and one of the Worth Rangers. The funny thing is, I offered "The Kid" any glove he wanted to start off his last year of middle school ball in style (Except blonde TPX). 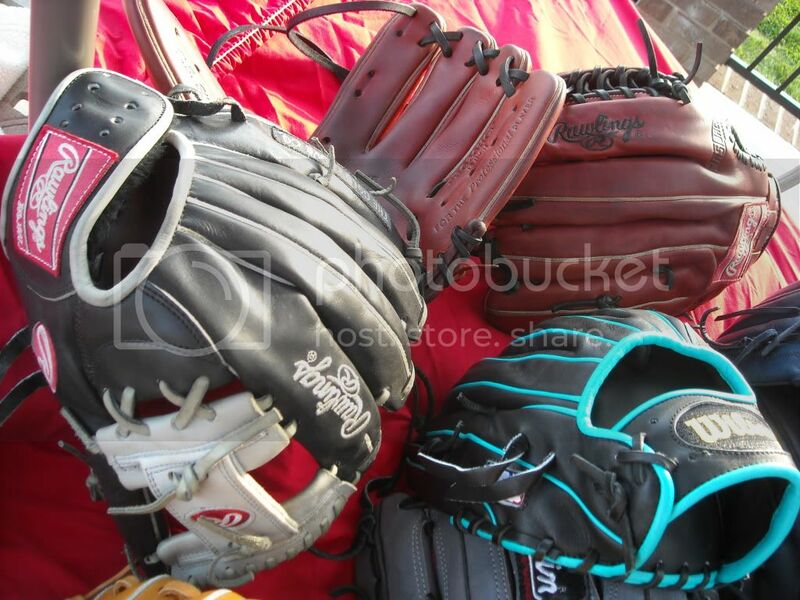 I even bought two more used gloves because he wanted something similar to replace his old 11.5" Rawlings. He picks a Reebok 12" two piece solid we have had for some time! Go figure. All that frantic searching for something we had in the closet for a long time. Anyway, thanks for looking. Do you have any H webs for sale? 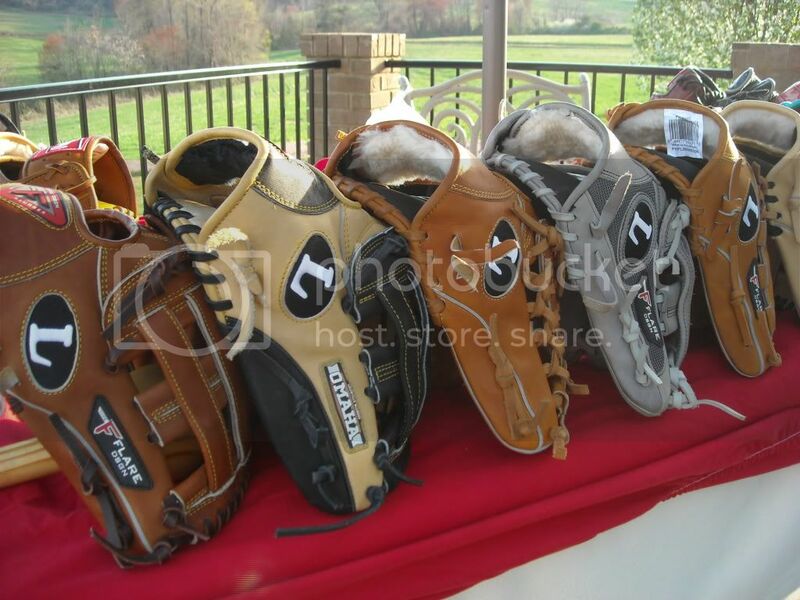 Great selections of gloves. How do you like the Morton's Louisville Slugger Mod-Trap Code 55? 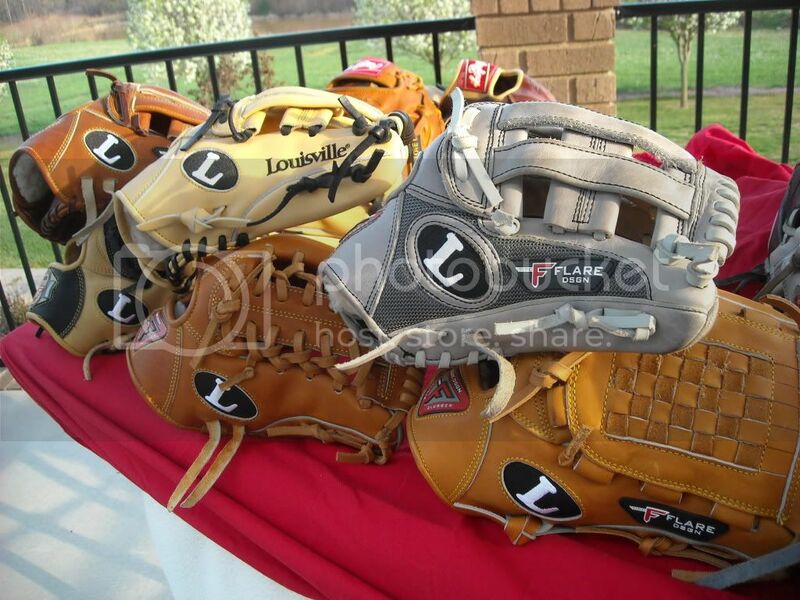 You are definitely a fan of the Louisville Slugger gloves. 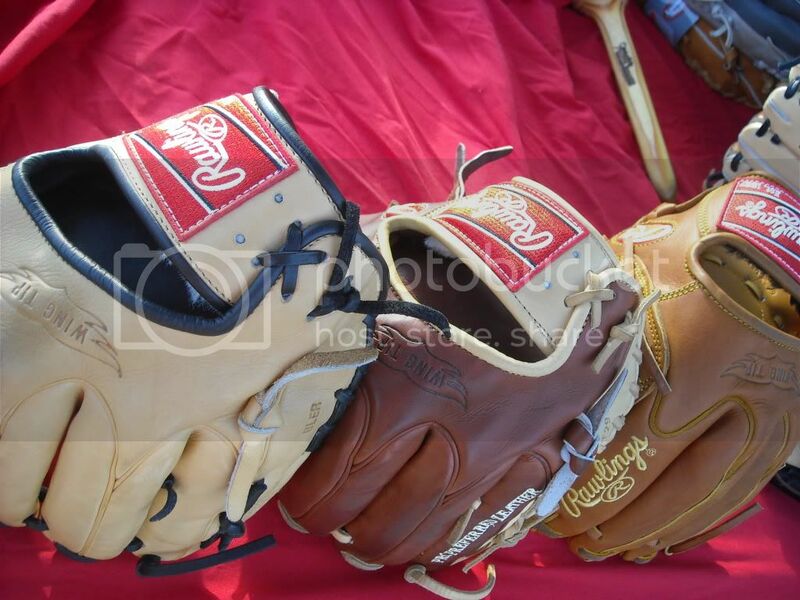 The Morton's glove is sweet. 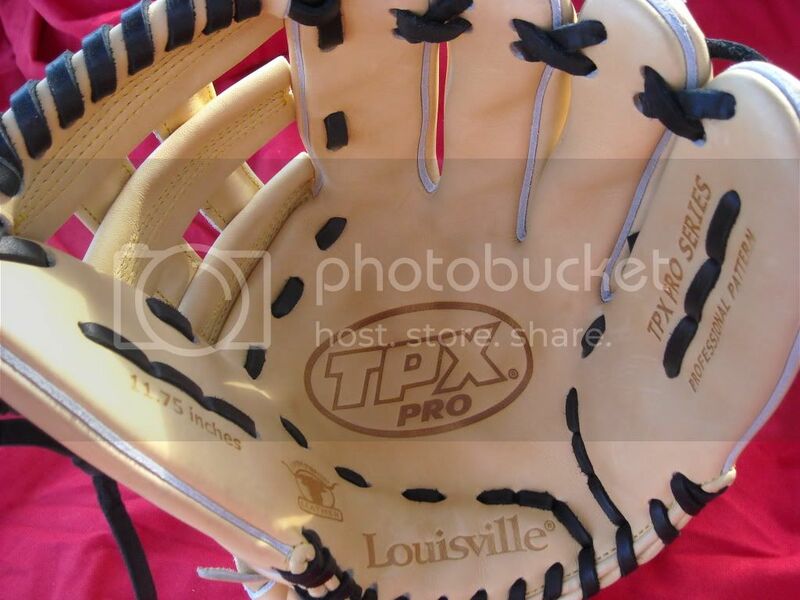 I originally got this glove from Kyle D.(Glovefeen). He had it broke in just right and the leather is AMAZING! Too sweet to use. 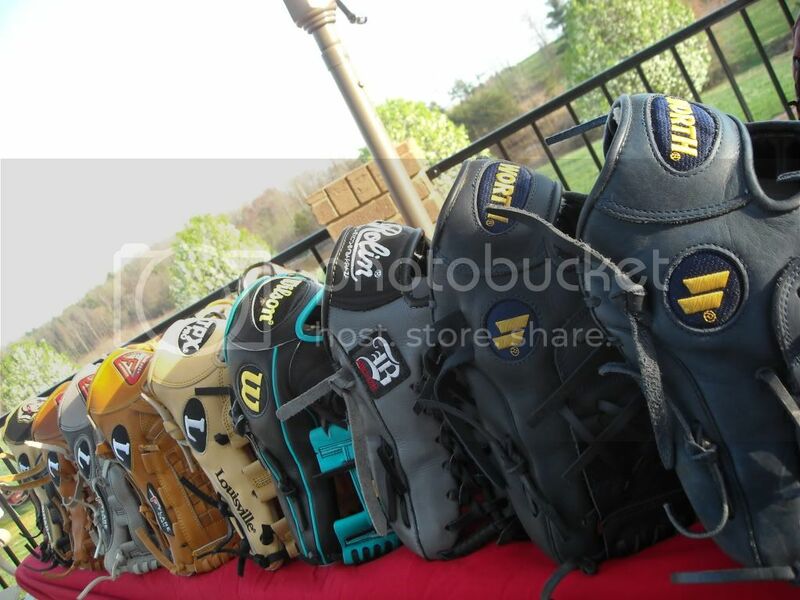 I must say, Louisville Slugger/TPX gloves are my favorite. They have been the glove for me since '94 (my first one). I've been hooked ever since! Thanks for looking. Oh, Rawlings isn't too bad either. LOL. Nice, I just purchased a FL1201C55 from Mortons, it should arrive tomorrow. I will post some pics. 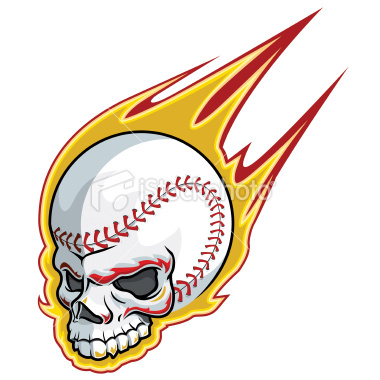 I haven't owned a Louisville Slugger glove since the 125 series, which I gave away to one of my Frat brother who was in need of a glove for the outfield. I love the H-web blond leather/black lace 11.75. 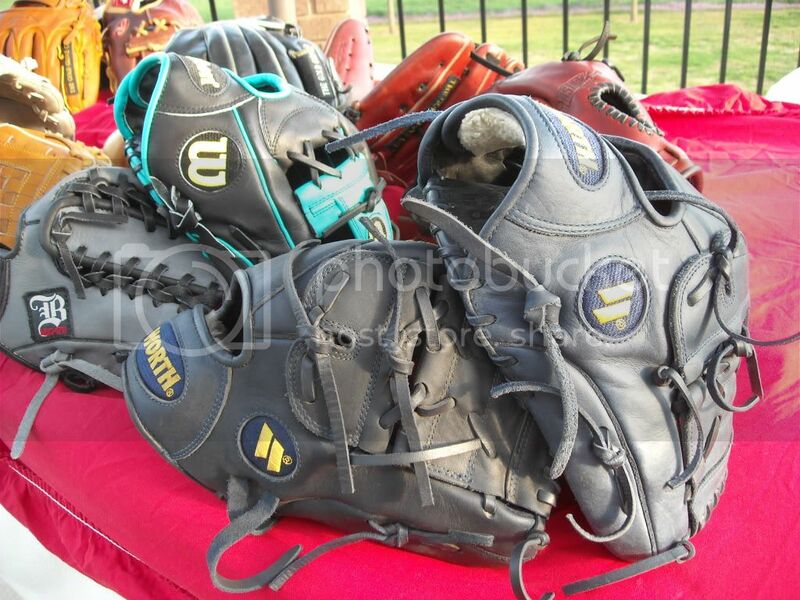 Were did you find this glove, I want one? I got it from a "friend" of a "friend" of a "friend". Not trying to be smart. I promised I wouldn't tell.... Pro Shop favor..... Did I say that? LOL. I received the Don Morton's Louisville Slugger FL1201C55 today. The glove is just awesome and well made. 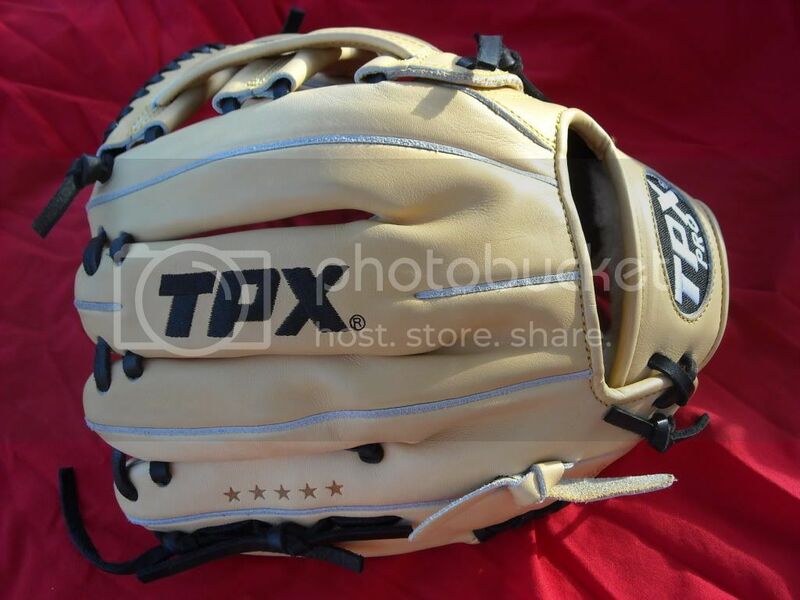 The only concern I have is how thin the padding in the fingers are compared to my Mizuno ClassicX Pro. Is this normally and how well do these gloves protect your hand.